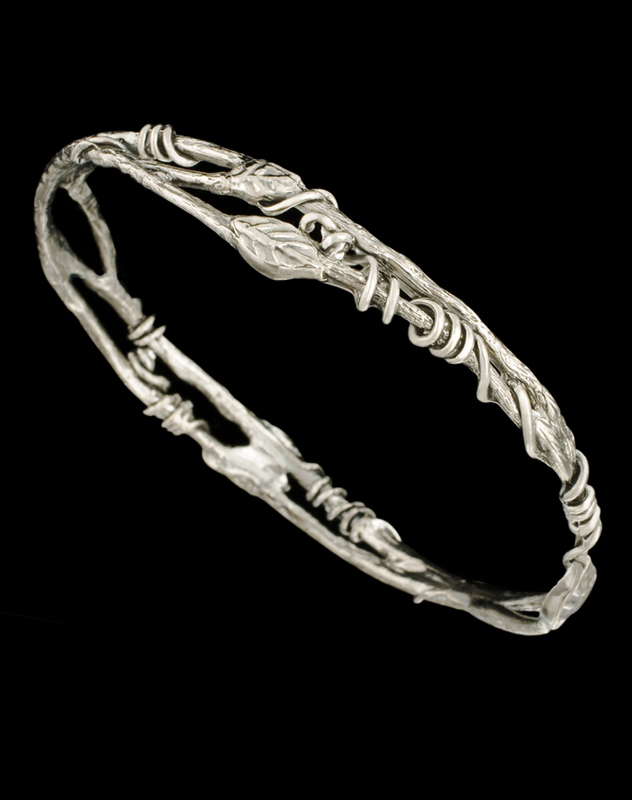 Vines and leaves intertwine with branches that encircle your wrist. 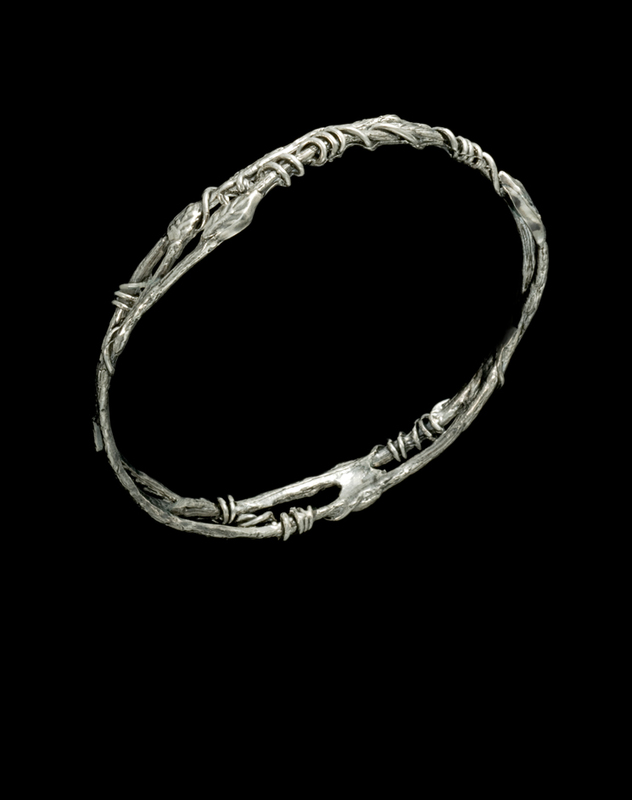 This piece stands alone or compliments other bracelets. A lovely edition to the other vine and leaf pieces. Solid sterling silver.